The Club Penguin Special Units (C.P.S.U.) . : Join Now:. Location : hold on a sec,"MOM SOME FREAK WANTS TO KNOW WHERE WE LIVE"
1. No being rude, mean or cruel to forumers and penguins on CP. 2. No flaming on other threads. 3. Please wear dress codes at all club events, except parties. 4. Please make it to all meetings and battles (if you have an excuse please send me, a head general, or a messenger a 101). 5. Before posting on this thread, use your phrase (only use phrase on first time, after you've logged in once)!!! The consequences for not following the rules can be from a warning to a ban. Here are the consequences for breaking the rules. - First, I'll give you 2 warnings until I take action. - Next, it will be a 1 rank-down decreasement (if you're a recruit, you'll stay as a recruit and need to get twice as many medals to rank-up). - Then, it will be a decrease to recruit (For recruit same as above. ^). - After that, it will a lose of ALL medals. - Finally, if you get to this one, it's a perma-ban from the club (A big banned sign will be by your name). Here is the info about all the times and events. NOTE: MY IGLOO WILL BE OPEN ON THE MAP! Here is a list of all the ranks you can get, and divisions you can be in. Here is a list of all the divisions in the Special Units. *Note: Managers and Ambassadors were the LEADER DRESS CODE! Here is a list of all the dress codes. *Substitutions: Wear something close to the item you don't have (i.e. back pack to cape). *Note: If you're in two ranks, wear one of the dress codes. Here is a list of the leaders, and all the members in each division. Here is a list of peace treaty stuff, our allies, and our enemies. If you would like to make peace after a war or just be allies, please post on this thread. If you flame on our thread, declare war, or spam on this thread, you will automatically become an enemy. Here are the missions and training information. Things change on this part frequently, so be on the look out. There have been some reports on puffles stranded on floating peices of ice. Make sure if you see them, to rescue them, or report it to Air Units, or Coast Guard. Everyone must go to training. Please read all the info here. *Squads are the training groups you are in. There is Beginner, Intermediate, and Elite. All squads practice same time. Just different training skills. Here are all the other things. Can some people make some. I will make some too though. Can some people make some avvies. If you can please post them on this thread. You can post pictures you drew and I'll put them right here. Also I'll post igloo pics here. To get rank-ups you need to earn a specific amount of medals. You can earn medals by: going to meetings, fighting in battles, making good ideas, and showing good characteristics. To see how to rank up, please look at the chart below. Here is a list of people who have medals, and how many they have. Ambassador has been added to the: "Privileged Jobs"! P.S. Congratulate Ghost and JamesApril for their great ideas! - During battle move quickly to dodge snowballs. - Always remember to bring a guard puffle with you. - Make sure you have a schedule, so you can have your day planned. So you won't be surprised if you have a meeting. - Keep your identity secret. - Use battle calls during battle. - Don't use the snowball glitch, because you can't see it on other computers! Here are some things that are in code that I might say during battle, or that you can use. 2 Fart Nioses = Retreat! 1 Fart Niose = Fire At Will!!! 1 Wave = Take Cover! 409's are PM's that you have to fill out if you want another rank. EXAMPLE: Let's say you're a Medic, but you want to be a Medic and Professor. You will need to fill out a 409 PM. If you just want to change to another rank, please don't do a 409! What techniques do you have that will effect in a good way toward the job you want. 101's are PM excuse notes. Let's say you have to go somewhere on a meeting day, and we won't be in touch with you. Quickly type me a PM of your excuse note. * 101's are ONLY needed for battles and meetings! Everyone has a to do list. When you are done with your things, please PM me. You will get a reward. If you have some good ideas, please PM a Messenger, me, or JamesApril. Remember: You can get medals for ideas! IMPORTANT: IF A MESSENGER OR I, RECIEVED YOUR 101 OR 409, WE WILL REPLY THAT WE RETRIEVED IT! THE BRAVE. THE PROUD. THE CPSU. uhhh how do we do the mission i dont see any puffles stranded on ice. Come to penguinheaven! a new site that is looking for members. www.penguinheaven.niceboard.com . we want you to join and welcome all new members! P.S. Good job Ghost! You made a thread! Your getting 3 medals for this! I can't believe you made a thread! Such commitment! Coast Gaurds or air units needed NOW! the iceberg has tipped and broke into several peices! all the penguins made it but they couldnt carry their puffles to shore! and the BIG shark is coming! hurry! i estimate they have an hour to get out of there before the shark comes! HURRY. they are currently on sabertooth. TO THE DOCK or BEACH! 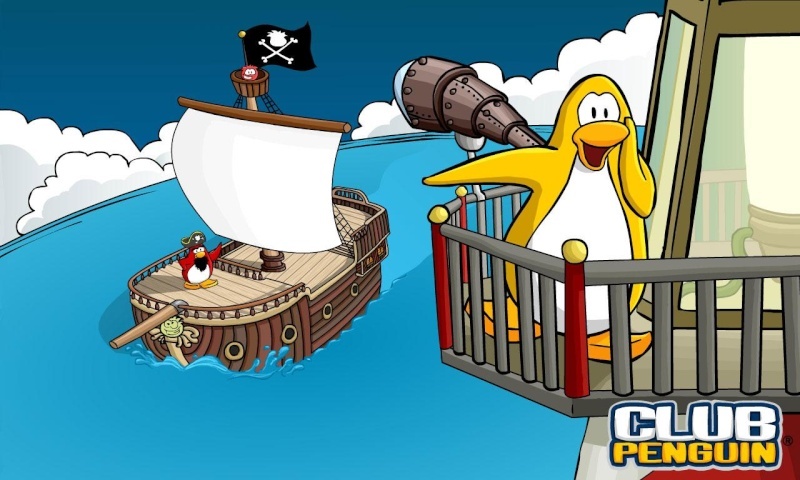 no wait the iceberg is breaking up all over the servers! Get them, and report back to HQ on PI for status. Sorry I haven't been active lately,but,I'm making a club. So I will post and all, but I will spend more time in my club. When people make clubs,they need to be dedicated to it. So if they make a club,they must spend more time on their club than others. Club Penguin Name : kayloon, alexmacaroni, orangepp, and erm, naa! i'll be here all day! Subject: Re: The Club Penguin Special Units (C.P.S.U.) . : Join Now:.